On March 8, 2018, U.S. imposed a 25 percent tariff on steel imports and a 10 percent tariff of aluminum imports under Section 232 of the Trade Expansion Act of 1962 citing national security issues. In a similar move in December 2017, the U.S. Commerce Department increased import duties on steel products specifically from Vietnam that originated from China as they evaded anti-dumping and anti-subsidy rules. The rise in tariffs will impact the steel industry in Vietnam, but steel companies in Vietnam believe that it will not have a major effect on the overall economy. Since March 8, U.S. has granted exemptions to Mexico, Canada, EU, Argentina, Australia, Brazil, and South Korea from the import tariffs. The Vietnamese government is in talks with the U.S. to get an exemption, as Vietnam is a not major market for US steel and aluminum imports. Vietnam ranks as the 12th largest exporter of steel to the U.S.
On May 21, 2018, the US Commerce Department introduced import duties on Vietnamese steel products that originated in China. Imports of cold-rolled steel from Vietnam increased from US$ 9 million to US$ 215 million annually, while corrosion-resistant steel imports rose from $2 million to US$80 million since 2015, when the US imposed anti-dumping duties on China. Corrosion resistant steel (CORE) from Vietnam, which originated in China, will face anti-dumping duties of 199.43 percent and countervailing duty duties of 39.05 percent. Cold-rolled steel imports will face anti-dumping duties of 199.76 percent and countervailing duties of 256.44 percent. However, importers and exporters can seek an exemption if they can certify that their products are produced from substrate originating in Vietnam or any other country, outside of China. The rise in tariffs will affect the local manufacturers, but the impact on the overall economy will be minimal. In 2017, the U.S. accounted for 11.1 percent of Vietnam’s steel exports, but steel accounted for less than 2 percent of Vietnam’s total exports. However, the tariff rise will increase competition for local firms, especially in the domestic market. Chinese products meant for the U.S. could easily flow into Vietnam. Overall supply can also increase in Southeast Asia leading to a drop in prices, which can ultimately benefit the end consumers. Carbon and Alloy Flat Product (Flat Products): Produced by rolling semi-finished steel through varying sets of rolls. Includes sheets, strips, and plates. Carbon and Alloy Long Products (Long Products): Steel products that fall outside the flat products category. Includes bars, rails, rods, and beams. Carbon and Alloy Pipe and Tube Products (Pipe and Tube Products): Either seamless or welded pipe and tube products. Some of these products may include stainless as well as alloy other than stainless. Carbon and Alloy Semi-finished Products (Semi-finished Products): The initial, intermediate solid forms of molten steel, to be re-heated and further forged, rolled, shaped, or otherwise worked into finished steel products. Includes blooms, billets, slabs, ingots, and steel for castings. Stainless Products: Steel products, in flat-rolled, long, pipe and tube, and semi-finished forms, containing at minimum 10.5 percent chromium and, by weight, 1.2 percent or less of carbon, offering better corrosion resistance than other steel. Aluminum plates, sheets, and strip, including sheet for aluminum can packaging. 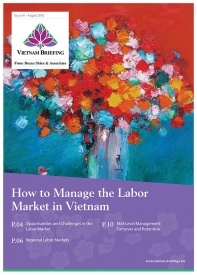 Best practices while exporting to the U.S.
With the new tariffs in place, Vietnamese exporters should take certain measures to avoid unnecessary penalties. Exporters should be clear about the HS classification codes that a product has in the U.S., as U.S. customs sometimes inquire about the technical details and manufacturing process to ensure that the correct HS codes are applied. 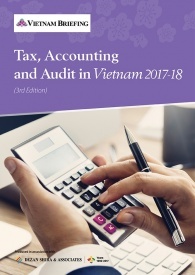 Vietnamese firms need to thoroughly check the contracts, purchase orders, and invoices to ensure that the customs value declared is correct to avoid attracting civil customs penalties. In December 2017, the U.S. government increased import duties on steel products from Vietnam that originated from China as they evaded anti-dumping and anti-subsidy rules. Companies in Vietnam should take measures to avoid such issues as the U.S. has started to impose penalties and fines for such actions. Vietnam’s steel industry has witnessed rapid growth in the last few years, growing by 21.64 percent from 2013 to 2016. In 2017, the steel production grew by 23.5 percent, while steel consumption grew by 25.7 percent. 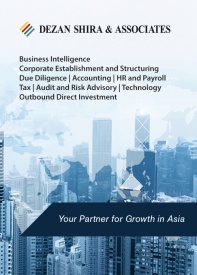 The rise in production was driven by growing exports to ASEAN countries and domestic consumption. In 2017, over 22 million tonnes of steel were produced, up 23.5 percent from 2016. Sold volume reached nearly 19 million tons, up 20.7 percent. Steel export revenues in 2017 reached US$3.64 billion, up 45.4 percent from 2016, while imports volumes reached 20 million tons, worth US$10.5 billion, reducing by 14.2 percent by volume but rising by 13.2 percent in value. In the first two months of 2018, the steel exports rose 38.6 percent from the same period last year to 728,000 tonnes. In 2017, ASEAN accounted for the majority of Vietnamese steel exports at 59.3 percent. The U.S. was second at 11.1 percent, followed by EU, South Korea, India, Taiwan, and Australia at 9 percent, 5.8 percent, 3.4 percent, 2.25 percent, and 1.88 percent respectively. The steel industry is forecast to grow by 20 to 22 percent in 2018, according to the Vietnam Steel Association (VSA). In the next decade, the growth will be between 15 and 18 percent. In 2018, the strongest growth will be seen in hot-rolled steel at 154 percent, followed by welded steel pipes, colored galvanized steel, construction steel, and cold rolled steel at 15 percent, 12 percent, 10 percent, and 5 percent respectively. Domestic demand will continue its growth in 2018 at 20 to 22 percent, which can help balance the reduced demand from export markets, especially the U.S. However, domestic firms have to reduce production costs and increase their product quality if it wants to cater to the domestic market, as local firms only account for around half of the overall domestic demand. U.S., the second largest steel export market for Vietnam after ASEAN, accounted for 11.1 percent of the total steel exports in 2017. However, steel imports from Vietnam accounted for only 5 percent of the total U.S. imports in 2017. 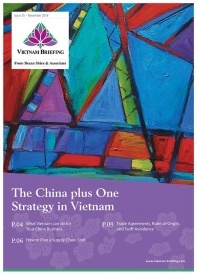 Based on the small share in total imports, the Vietnamese government is trying to get an exemption from the U.S. The Vietnamese government has highlighted that its steel and aluminum products are intended for use in civil construction, and not for infrastructure or security-defense purposes, hence it poses no risk to national security, the reason stated by the U.S. for increasing its tariffs. The top three exports from Vietnam to the U.S. are the cold-rolled coil (CRC), hot-dipped galvanized coil (HDG), and other metallic-coated coils. CRC exports grew from 33,199 tonnes in 2015 to 155,169 tonnes in 2017, while HDG’s volumes grew from 292 tonnes in 2014 to 124,799 tonnes in 2017. Other metallic-coated flat steel exports grew from 181 tonnes in 2013 to 130,440 tonnes in 2017. In the first two months of 2018, Vietnam’s steel exports to the U.S. doubled compared to same period last year to 124,600 tonnes worth US$104.2 million. 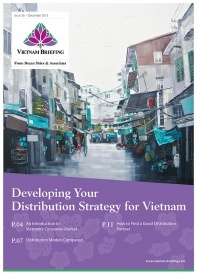 With the rise in U.S. tariffs, Vietnamese firms will need to diversify its export markets and product portfolio to minimize losses. Almost 60 percent of its steel exports go to the ASEAN market; hence, the U.S. tariffs will not have a major impact on the overall industry. However, local firms have to invest in technology, increase their product quality, and reduce production costs if it wants to access new markets or support domestic industries. The major export markets for Vietnamese steel are ASEAN, U.S., EU, South Korea, India, Taiwan, and Australia. With the U.S. tariffs in place, local firms have an opportunity to focus on the other markets to offset the reduction in U.S. exports. 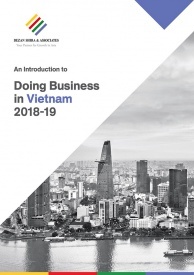 With numerous FTAs already in effect, and FTAs such as the European Union-Vietnam Free Trade Agreement (EVFTA) and Comprehensive and Progressive Agreement for Trans-Pacific Partnership (CPTPP) currently under ratification, Vietnam will have increased access to new markets. According to the World Steel Association, steel demand will continue to grow globally in 2018 and Vietnamese firms should focus on the new markets that will open up once the all the FTAs are in place. The domestic steel consumption grew by 25.7 percent from 2013 to 2016, making Vietnam the largest consumer among ASEAN countries. In 2018, the domestic demand is predicted to grow by 20 to 22 percent to 27 million tonnes, highest in the region and among the global top 10. However, local firms only meet 40 percent of the domestic demand, which has led to a huge trade deficit. Driven by a rise in urbanization, infrastructural growth, and investments, this supply gap offers an untapped market for the domestic firms. Vietnamese firms such as Formosa, Pomina, Hoa Sen Group, and Hoa Phat Steel, have already taken note of the huge demand and increased their investments in the country. According to the POSCO Research Institute, Vietnam’s construction industry, which grew by eight percent and accounted for 33.3 percent of the GDP in 2017, will continue to fuel the steel demand. The construction industry already accounts for 93 percent of the overall steel demand in Vietnam and has seen a spending growth of 8.5 percent (CAGR). The construction industry which is forecast to grow at seven percent annually for the next decade, provides huge opportunities for Vietnamese firms, especially for products such as structural steel which is predicted to account for 80 percent of the overall steel demand, reaching 24 million tonnes by 2020. Note: This article was originally published in March 2018.